Penélope Cruz: Mediterranean diet for Weight loss. 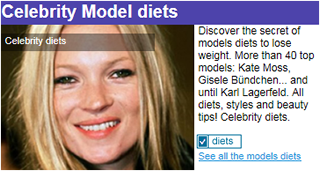 Celebrity diet, Exercises, Style & Beauty tips ! Place of birth: Alcobendas, Madrid, Spain. Penélope Cruz eats a lot of fruits and vegetables, and eats with moderation: bread, pasta, rice and olive oil. She takes care never to commit excesses. Mediterranean diet menu: vegetable soups + paella (spanish rice) + glass of wine. Her favourite food: "Give me a piece of bread, few drops of olive oil and salt, and I am happy. 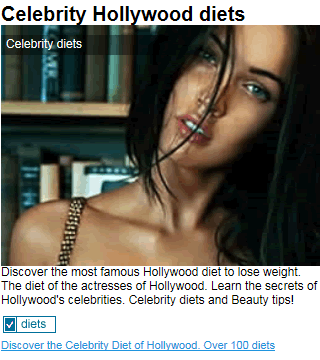 But you cannot eat like that all the time", says the actress. She is also a passionate of potatoes omelette. Should I follow the mediterranean diet or not? According to our experts: "The Mediterranean diet is a very healthy diet. The World Health Organization (WHO) recommends the Mediterranean diet for being in good shape and live longer. Before starting a diet, please consult your doctor or nutritionist." Eat daily pasta and rice. Eat fresh and season food (unprocessed). Weights lift and machines to tone and firmness, and accelerate metabolism. Aerobic and cardiovascular exercises to burn the fat. Penélope Cruz walks quickly and runs on tape. Stretching and flexibility, 15 minutes each day (before and after the exercises). Penélope Cruz isn’t too much worried about her weight. "I'm lucky to have a metabolism able to burn nearly everything" says the actress. Celebrity beauty tips: Penélope Cruz's perfect skin! • And ends with a hydrating mask and an eyes cream. Penelope Cruz has one of the looks more trendy this season. The actress is one of the best-dressed Hollywood's celebrity. Chic jeans for a perfect... style!